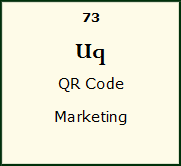 QR code marketing bridge the physical word with the online. Businesses can easily benefit from efficient QR Code campaigns, data sharing, administration among others. With more Smartphone users it is optimal for a review of you online and mobile strategy. Take advantage of a technology driven world to bring more people on the go to your business. It might be an advert in a magazine, a billboard, your marketing materials, your outgoing post or just a business card, which you can integrate a QR code to improved you marketing, communication or customer service. Tried it in the past and could not figure out if it was working or which one was working. That is a thing of the past – Now you can track multiple QR codes. Do you feel that these black squares are dominating, that is another thing of the past – Customise your QR code by selecting colour and include your company logo? You can also generate QR codes in High Definition.